The AT&T deal to buy DirecTV is officially only a couple hours old, but it's already shaking up the telecom and media industry and causing consumer groups to fret. Announced shortly after 5 p.m. on Sunday, AT&T agreed to buy DirecTV for $48.5 billion, in a bid to combine mobile, video and broadband platforms, and bundle them for consumers. If approved by the regulators, the combined company would set itself up as a major cable competitor with 26 million video subscribers. 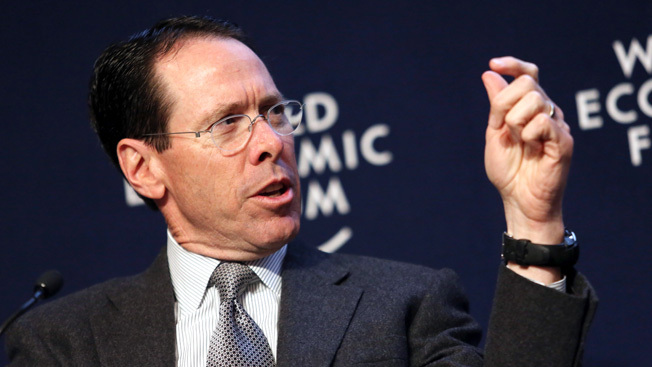 “This is a unique opportunity that will redefine the video entertainment industry and create a company able to offer new bundles and deliver content to consumers across multiple screens—mobile devices, TVs, laptops, cars and even airplanes," said Randall Stephenson, AT&T chairman and CEO. Beyond distribution of video content, the deal also brings AT&T into the content business via DirecTV's programming ownership interests in Root Sports Networks and minority stakes in Game Show Network, MLB Network, NHL Network and the Sundance Channel. In sports, DirecTV also has the exclusive pay TV rights to NFL Sunday Ticket and provides every out-of-market game, every Sunday afternoon on TV, laptops and mobile devices. Like every big mega-telecom, media deal these days, the AT&T-DirecTV pact offered some voluntary concessions to regulators in order to win approval of a transaction that will no doubt receive heightened scrutiny from the Federal Communications Commission and the Department of Justice. In fact, in a conference call with analysts Monday morning, Stephenson said it was the "first thing" the companies had to evaluate. "We had to evaluate the achievability in the regulatory environment. We identified the big things; we tried to be proactive and anticipate where the sensitives would be," said Stephenson, adding that he felt "quite good" about the regulatory prospects. AT&T said it would continue to commit to the FCC's open Internet rules established in 2010, even though the court struck them down and the FCC has yet to adopt new ones. For three years, the company would agree not to block or discriminate against any legal Web content. The company also said it would use its merger synergies to expand its plans to build and enhance high-speed broadband to 15 million customer locations mostly in rural areas where the company currently doesn't provide high-speed service. AT&T also reaffirmed its commitment to participate in the FCC's planned auction of wireless spectrum later this year and in 2015, a turnaround from previous statements that it may not participate unless the conditions were favorable. Provided there is sufficient spectrum voluntarily relinquished by broadcasters for the auction, AT&T said it was prepared to sweeten the government's coffers by bidding "at least" $9 billion. Despite these pot sweeteners for regulators, consumer groups are already skeptical that the deal might be a good one for consumers. "For the amount of money and debt AT&T and Comcast are collectively shelling out for their respective mega-deals, they could deploy super-fast gigabit-fiber service to every single home in America," said Craig Aaron, president and CEO of Free Press, which is also vigorously opposing the Comcast-TWC deal. "But these companies don't care about providing better services or even connecting more Americans. It's about eliminating the last shred of competition in a communications sector that's already dominated by too few players." With consolidation moving at an eye-popping pace, groups are worried that just a few big companies will be left by the time it's all over. "The industry needs more competition, not more mergers," said John Bergmayer, senior staff attorney for Public Knowledge. "The burden is on AT&T and DirecTV to show otherwise."